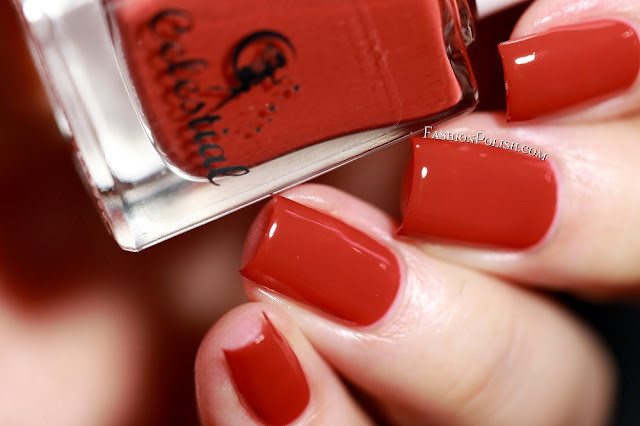 Fashion Polish: NEW Color4Nails Celestial Cosmetics releases and LE shades! 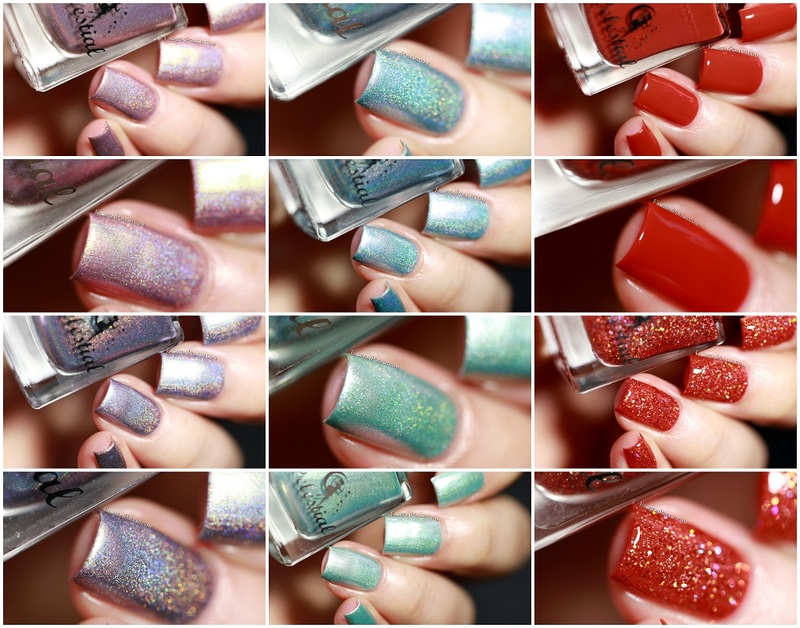 NEW Color4Nails Celestial Cosmetics releases and LE shades! I have lots of new Celestial Cosmetics from the Color4Nails store to share with you today! 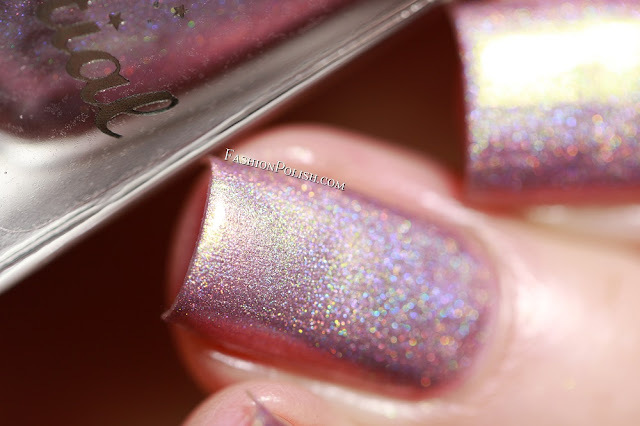 Cheap Distraction is a soft pink based mauve holo with a green to gold color-shifting shimmer. Two coats shown in my swatches below. 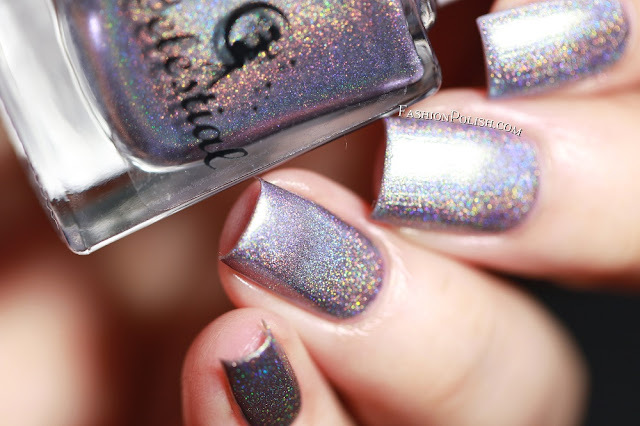 Crystal Ship is a cool-toned violet holo with a blue to green color-shifting shimmer. Nice and easy to work with, I used 2 coats plus topcoat. Broken Glass is a soft blue holo with a pink to green color-shifting shimmer. I used 2 easy coats plus topcoat. Mermaid's Wall is a mint green metallic holo with a pin to old shimmer. Great formula and application, 2 coats used for complete coverage. Pretty (January 2017 LE) is a butter smooth brick red creme. It's a really complimenting color, perfect in 2 coats. 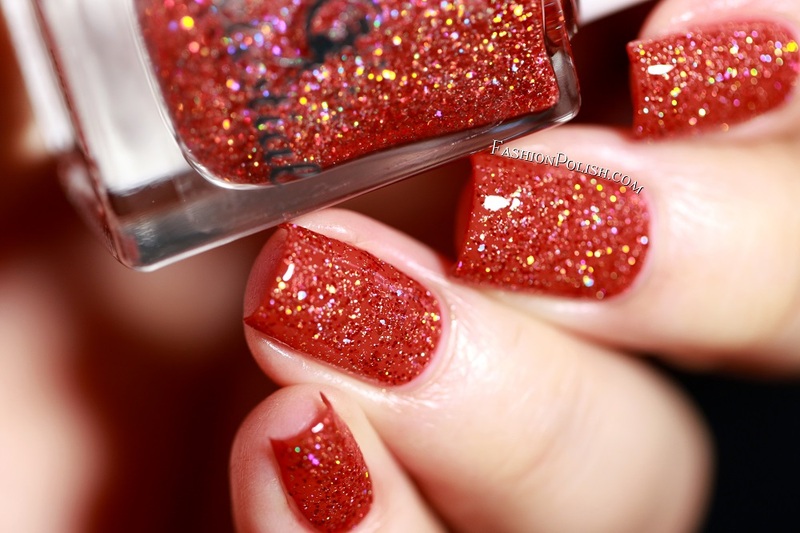 Woman (January 2017 LE) is a heavy mix of red holo microglitters in a clear base. It ca be worn on its own in 2 to 3 coats but I decided to use coat over Pretty. Celestial Cosmetics, including limited edition colors, can be purchased internationally from color4nails.com. The polishes featured in this review retail for $11 each. Thanks for looking and have a happy weekend!